Better understanding what we see is life's mission. The unique characteristics of each foot make them as different as the faces of people. The small variances in distance occur naturally, as well as a response to injury and disease. This first of this series teaches how to observe the smallest details that once were not detected; sketching what your mind's eye sees, opens the window to better understanding the large range of norm, as well as pathology. The information revealed in the low beam lateral and DP image has a direct link to the external characteristics. The hoof capsule is constantly changing and adapting to many variables. The most dramatic alteration comes from within. It's what we can't see that holds the most answers as to why the appearance of the foot can make drastic changes. Learn how growth ring patterns can tell the history of the foot and allude to the future. 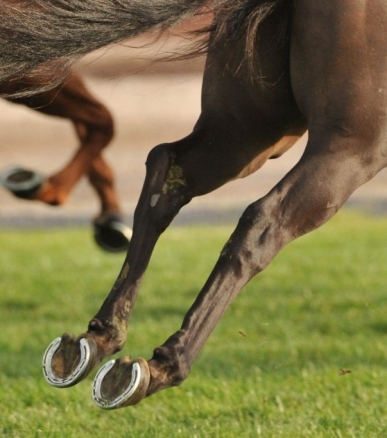 Dr. Redden is known worldwide as the leading pioneer for the highly focused field of equine podiatry. Developing the very first exclusive podiatry practice and clinic over 4 decades ago Dr Redden has also been dedicated to teaching farriers and veterinarians his many innovative concepts and techniques. His work and that of his students have set a new and exciting benchmark for the standard of care for many common career and life-threatening foot issues. This is the first time his indepth teaching has been offered online through the WCEA. Don't miss this opportunity to learn how to learn from this unique teaching experience. Equine podiatry has become a household word among veterinarians and farriers throughout the horse world. This field of professional service requires both farrier and veterinary knowledge and skills, and a step beyond and above the routine duties and responsibility of their respective professions. Careers and lives are on the line and success is possible with collaborative efforts of a competent vet / farrier team. Unfortunately, no formal educational program exists to date. 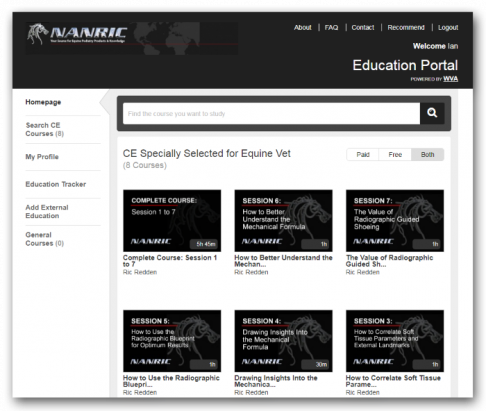 To take your skillset and vet / farrier team success to the next level by registering for free on the NANRIC education portal. NANRIC's has formed a strategic partnership with the World Continuing Education Alliance (WCEA), a global provider of specialist continuing education platforms. Together our aim is to make it easier for farriers to access the best courses on equine podiatry - no matter where in the world they live. Registering on the NANRIC education portal is free and members only need to pay for individual courses. The portal has many features including an Education Tracker which records and monitors all your learning progress. You can also add external education to it, helping you keep track of all your online studies in one place.